MUSIC, owner of TANNOY, has stated that it remains committed to Scotland and will continue to build the TANNOY Prestige as well as other high-end loudspeakers in the country. The company which already builds current Prestige models at its manufacturing plant in Coatbridge, is considering a relocation to a new plant, following a large investment from parent company MUSIC. Prestige from TannoyThe new facility will also see substantial investment in innovation and production, as well as a museum and show room for the brand’s 90 year heritage. 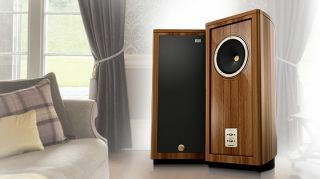 TANNOY will celebrate its 90th anniversary this year and has been based in Scotland since the 1970’s. Uli Behringer, head of MUSIC, commented: "We are excited about the future of TANNOY and we believe we have developed a sound strategic direction to protect its rich history and heritage. TANNOY was facing great economic pressures and we believe that our plan will ensure the longevity of the brand. We are planning to relocate manufacturing to a new plant in Scotland which will deliver modernized and streamlined operations while continuing our involvement in local communities providing employment in the region. This will secure TANNOY to remain a serious competitor in the high-end residential marketplace." Following this announcement all current sales, order and delivery processes remain unaffected.